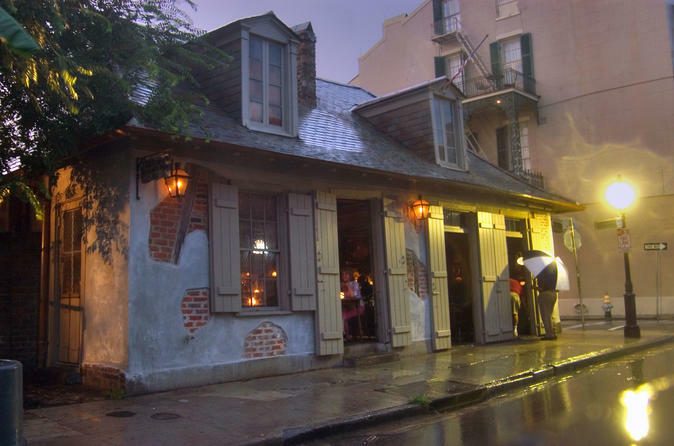 Welcome to the Private French Quarter Pub Crawl History Tour, where you grab a to-go-cup and sip on New Orleans' history in an intimate small-group setting. All tours are personally conducted by the tour company's owner, Ashton Rogers. Highlights include Jackson Square, St. Louis Cathedral, Madame John’s Legacy, the Old Ursulines Convent, and the Lalaurie Mansion. New Orleans' French Quarter is best enjoyed when walking in a small, private, intimate group with an engaging and knowledgeable guide. On this walking tour, you'll grab some to-go drinks and learn all about the history of the city. The highlights include Jackson Square, St. Louis Cathedral, Madame John’s Legacy, the Old Ursulines Convent, and the Lalaurie Mansion. Your expert guide is Ashton, the tour company's owner, who loves spending his time introducing people to the wonders of the Crescent City. Your tour is capped at 6 people to keep the experience more intimate and enjoyable. *Drinks are not included in the price.